BUTUAN CITY, Jan. 25 (PIA) -- Years after enduring the challenge of transporting their farm produce, the agrarian reform beneficiaries (ARBs) in Caraga region now enjoy a lower overhead expense as the Department of Agrarian Reform (DAR) distributed to them six hauling trucks amounting to P21.2 million. 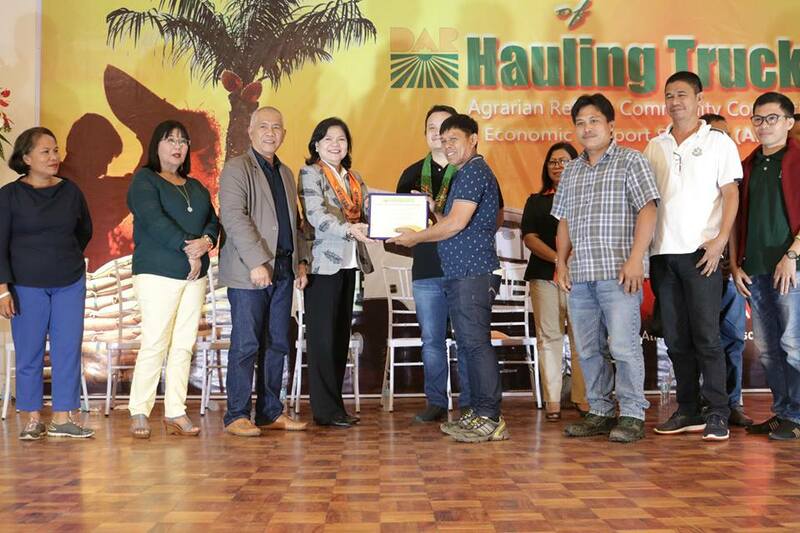 The blessing and formal turn-over of the six-wheeler hauling trucks were led by Agrarian Reform Undersecretary for Support Services Emily Padilla, Field Operations Office Undersecretary Karlo Bello and DAR-Caraga Regional Director Leomides Villareal. According to Usec. Padilla, the provision of these equipment forms part of their agency’s support service delivery mechanism that is much needed after the lands have been awarded to the farmers to sustain productivity. “We are strengthening our efforts in the implementation of our agency’s programs especially that President Duterte is sincere in his support to the farmers by enhancing farm productivity and promoting well-being of farmers,” said Padilla. Apart from tractor, harvester, transplanter, and other farm machineries, the 97 hauling trucks are already scheduled for distribution to farmers in the different regions of the country. DAR is also fast-tracking the distribution of the remaining 561,000 hectares acquired lands to the agrarian reform beneficiaries. Usec. Padilla also said the remaining P142 million earmarked for farm equipment in 2018 will be added to the P300 million appropriation under the Climate Resilient Farm Productivity Project, making a total of P442 million set to be downloaded to DAR regional offices this year. Wenefredo Maldo, chairperson of one of the recipient ARB organizations, said it will greatly benefit other farmer-members because it will help cut down the expense for trucking services rental. “We appreciate so much the granting of this facility. We promise to keep it functional through proper vehicle maintenance and that it will be utilized as intended for its purpose,” said Maldo. Meanwhile, Villareal assured that their agency is geared at pursuing full mechanization to increase household income, improve productivity, and enhance the competitiveness of agrarian reform communities. LUNGSOD NG BUTUAN, Enero 25 (PIA) -- Nasabat ang dalawang mini-sawmill plants sa Barangay Linintian sa bayan ng Cantilan, Surigao del Sur dahil sa pinagsanib pwersa ng National Bureau Investigation (NBI), Department of Environment and Natural Resources (DENR) Caraga Anti-Illegal Logging Task Force at Philippine National Police. May ilan-ilan ding nakuhang illegal lumber products na siyang ginagamit sa pagawa ng mga kasangkapan. Aabot ang mga ito sa mahigit 100,000 board feet. Kinumpiska rin ang iba pang mga aparato at sinira ang mga sawmill. 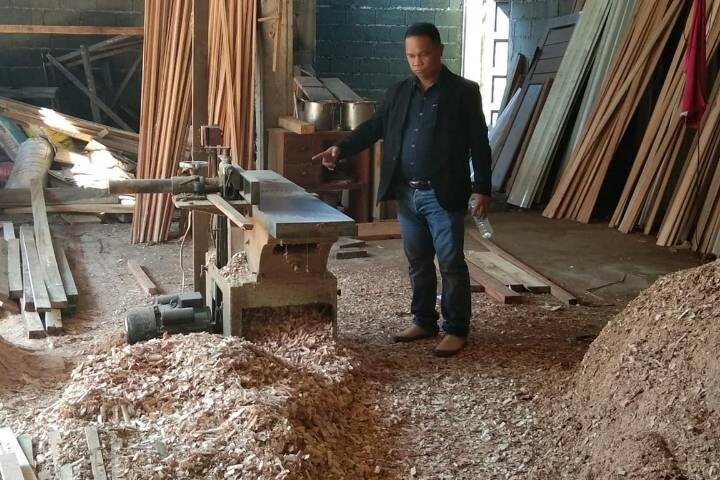 Limang indibidwal ang hinuli ng NBI agents, kabilang na dito ang dalawang nagmamay-ari ng nasabing mini-sawmill plants. Ang mga ito ay nakilalang sina Susana Miranda, Susan Rada, Joseph Guimari, Francisco Espenido, at Brian Rozano na pawang mga residente ng nabanggit na barangay. Ayon kay DENR Caraga regional executive director Atty. Felix Alicer, ang isinagawang raid sa nasabing ilegal na sawmill plants ay patunay na seryoso ang pamahalaan sa pagtugis sa loggers na ilegal na pumuputol ng mga puno at masugpo ang pagnanakaw ng mga ganitong uri ng kahoy. Binigyang-diin ng opisyal na mula nang masimulan ang implementasyon ng National Greening Program ng pamahalaan, nararapat lang din na sumuporta ang publiko dito dahil sa magandang maidudulot nito sa kalikasan. Sasailalim sa masusing imbestigasyon ang mga suspetsado at nahaharap ang mga ito sa patong-patong na kaso bunsod ng kanilang pagsira sa kalikasan. BUTUAN CITY, Jan. 25 -- Police Chief Supt. 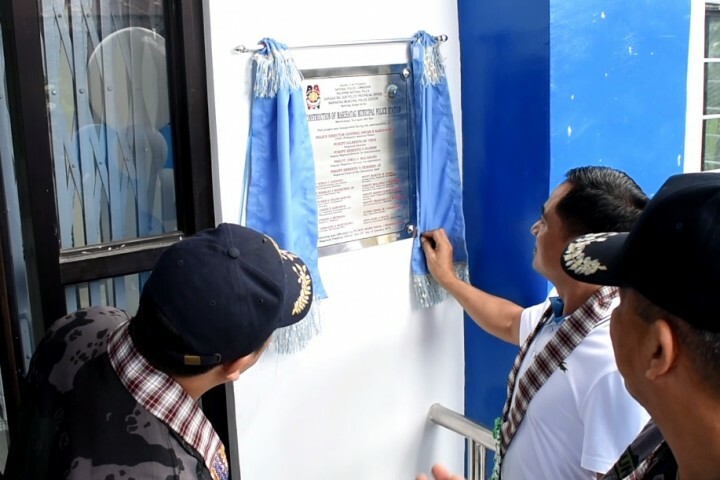 Gilberto DC Cruz, Regional Director of Police Regional Office (PRO) 13, led the blessing and turn-over of newly constructed police station building in Marihatag, Surigao del Sur today, January 23. 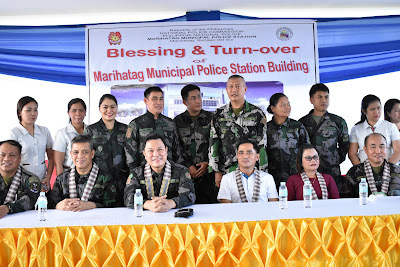 After the ribbon cutting and unveiling of the marker, Chief Inspector Mark Virgil J. Ibardolaza, Regional Pastoral Officer, officiated the blessing with the presence of Mayor Raul T. Cubil, Vice-Mayor Rebecca S. Polinar, municipal councilors, barangay captains, and department heads of the local government unit of Marihatag. In his message, Cruz thanked the municipal officials for their untiring support to the local police force by donating a lot and providing assistance for the construction of new PNP building. He also urged the PNP personnel to improve the delivery of services. “This new building shall be coupled with better police services to our clients. It shall boost not only the image of the PNP but also the confidence of the general public to the police,” the region’s police chief said. 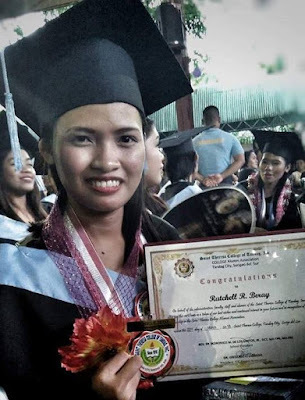 BUTUAN CITY, Jan. 25 - The Overseas Workers Welfare Administration (OWWA) has been implementing programs and services for the Overseas Filipino Workers (OFWs) and their beneficiaries and vows to continue to produce successful scholars. Among this program are the Education and Training where OWWA offers scholarship programs like Education and Development Scholarship Program (EDSP), OFW Dependents Scholarship Program (OFWDSP), Education and Livelihood Assistance Program (ELAP) – Education Component with more than 100 college recipients who are sons, daughters or siblings of OFWs. Some of these scholars have come a long way and now they are licensed engineers, teachers, doctors, CPAs, among others, it was learned. All of whom expressed their gratitude for being one of the OWWA scholars. With this, OWWA Caraga is likewise proud and honored for what they have become and these scholars will serve as an inspiration to others who are still in the process of achieving their dreams and aspirations. “Don’t promise, just prove,” said OWWA Caraga Officer-in-Charge Ma. Ireen C. Cambaling as she challenges the scholars. She wants them to realize that every human being aspires to be successful, but only those with high aims, will power and optimum strategies succeed in real life. They will have to do a lot of hard work in order to become big someday in the future.